East Riding Electrical are local electrical contractors with over 36 years experience serving homes and businesses across the whole of the East Riding and East Yorkshire. 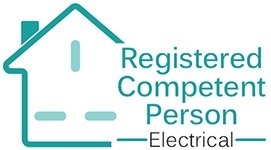 We are well established & experienced domestic electricians providing a full range of domestic services including re-wires, sockets, lighting, alarm installations, inspections, testing, safety certificates & more. We are fully qualified and highly experienced electricians providing a full range of electrical services to the commercial sector including offices, property management companies, warehouses, shops and many more. We carry out a range of industrial and maintenance electrical services across the East Riding and East Yorkshire region. Please click below to see a selection of the industrial work we carry out. We are local electricians based in Beverley, with over 36 years experience, serving homes and businesses across the whole of the East Riding and East Yorkshire. All of our highly experienced electricians are registered with the NICEIC and all of our work is carried out to the highest standards, whilst ensuring that our prices are competitive and affordable. We value our customers and their properties, whether this be commercial or domestic properties, and are proud of our many testimonials and reviews from our customers – both home owners and businesses in East Riding and East Yorkshire . Our experienced team will always give free, professional and expert advice on any projects that you need completing or are planning. At East Riding Electrical we will gladly offer you a free quote for small or large jobs and this includes domestic, commercial or industrial projects. We are quite rightly proud of our electrical services and high standards of workmanship. Dave was prompt, accurate and professional in all aspects of the work that he carried out. This led to full confidence in all aspects of his electrical installation work and I have no reservation in recommending East Riding Electrical to anyone. Very pleased with Dave’s work, a selection of electrical work around the house – mostly in a newly-installed kitchen – and he was punctual, efficient, and always happy to explain and talk through the various options available and make helpful suggestions. I have used East Riding electrical (Dave) for circa 5 years now on two properties. I have always found Dave’s response prompt and reliable. His work has always met my expectations, neat and tidy and he cleans up afterwards. East Riding Electrical are highly qualified, reliable, local electricians based in Beveley providing a full range of domestic and commercial electrical services. 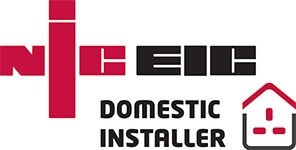 We have over 36 years experience and are NICEIC registered. We cover the whole of the East Riding and East Yorkshire including Anlaby, Anlaby Common, Hessle, Willerby, Kirk Ella, West Ella, Brough, Elloughton, South Cave, North Cave, North Ferriby, Beverley, Tickton, Walkington, Woodmansey, Leven, Driffield, Bransburton, Bridlington, Hornsea, Market Weighton, Stamford Bridge, Pocklington, Hull and Kingswood.